Or how about this lavish entranceway embellished with loads of ombre balloons and floral elements? Just stunning! Or maybe just a swag of white balloons combined with touches of pink and some greenery? It makes for the sweetest dessert table decor, don’t ya think? Having a simple back yard affair? Tie on a few giant balloons to easily and instantly decorate your tablescape! 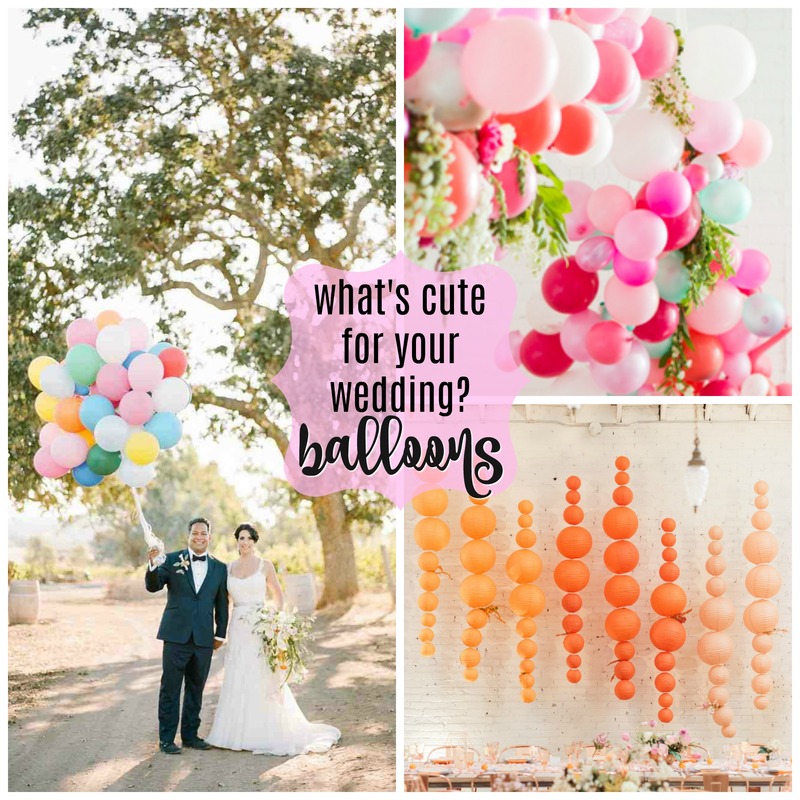 Another way to incorporate balloons into your special day? Use gold letter balloons to spell our your names and announce to the world that you are ready to party!